Have you ever heard of mochi ice cream and wondered what it was? Have you seen the colorful ice cream balls in stores but weren’t quite sure what they were? 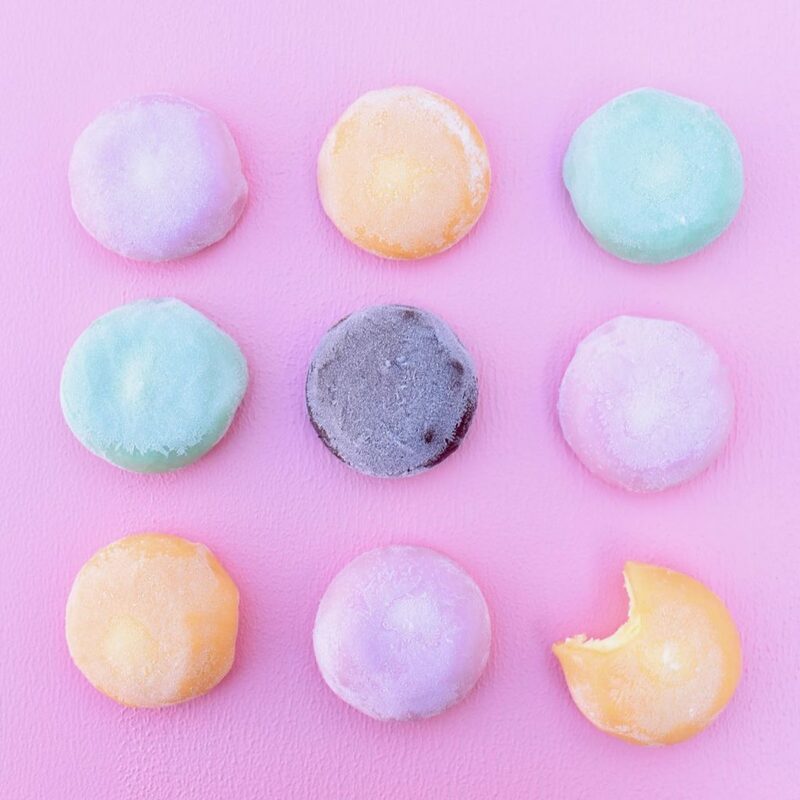 You’re in luck, because today we’re talking ALL things mochi ice cream, including what it is, what it’s made of, what flavors it comes in, and where you can buy mochi ice cream near you! I’m partnering with my favorite mochi brand, Bubbies Mochi Ice Cream, to share with you everything you need to know about this unique and delicious dessert. What is Bubbies Mochi Ice Cream? 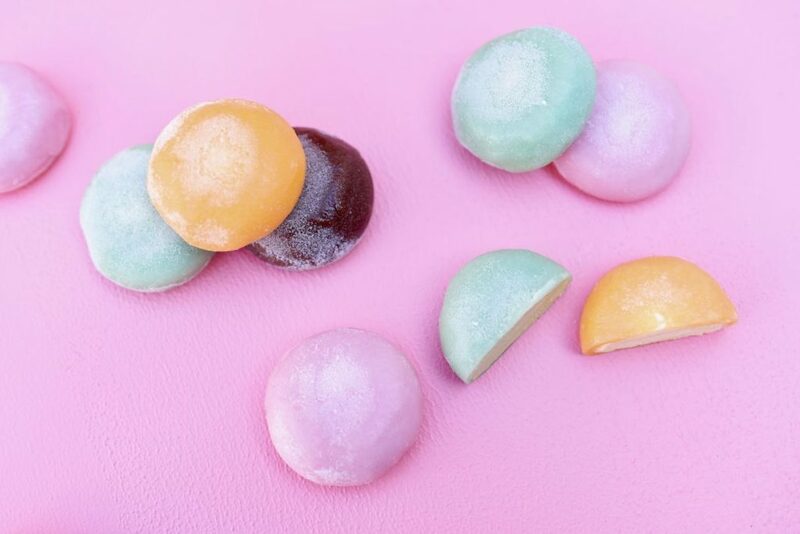 Bubbies Mochi Ice Cream is a bite-sized treat that’s made with a variety of premium ice cream flavors that’s wrapped in a sweetened rice dough. Basically, it’s ice cream that you can eat with your hands! This tasty treat comes in lots of different fun colors and flavors. No need for a spoon or a cone! This is a hot dessert trend that’s here to stay, and for good reason. It’s so easy to eat, there’s a flavor for everyone, they’re easy to serve, and taste absolutely AMAZING! What flavors does it come in? 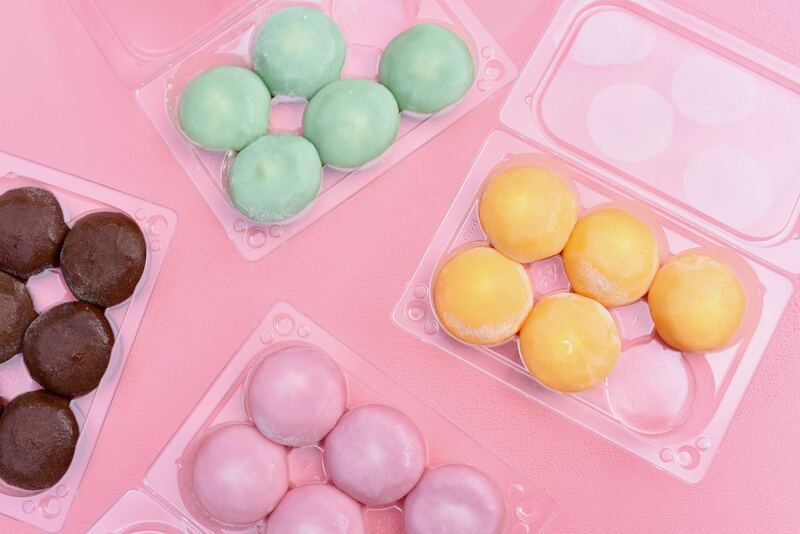 Mochi ice cream comes in a large variety of flavors. 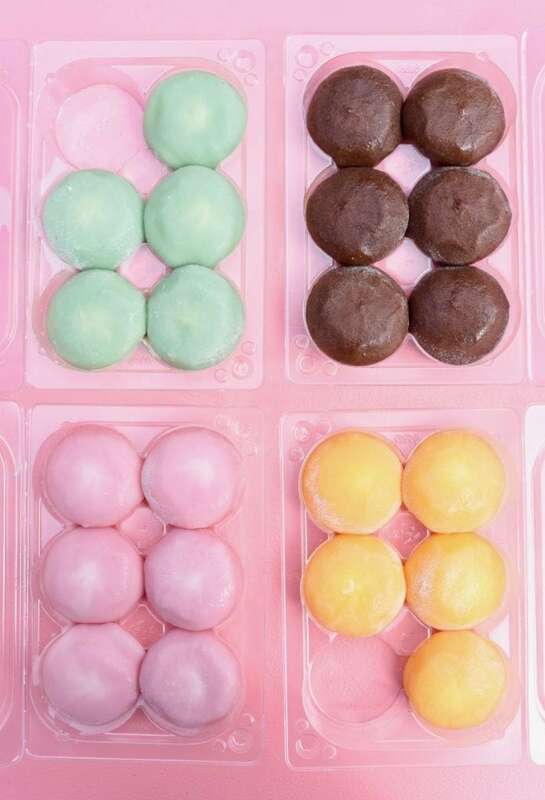 Bubbies Mochi Ice Cream comes in over 25 flavors, including favorites like Triple Chocolate, Vanilla, Strawberry, Blood Orange, Green Tea, and more. Each flavor is made with premium ingredients and is gluten-free, non gmo, contains no rbst, and uses kosher dairy. 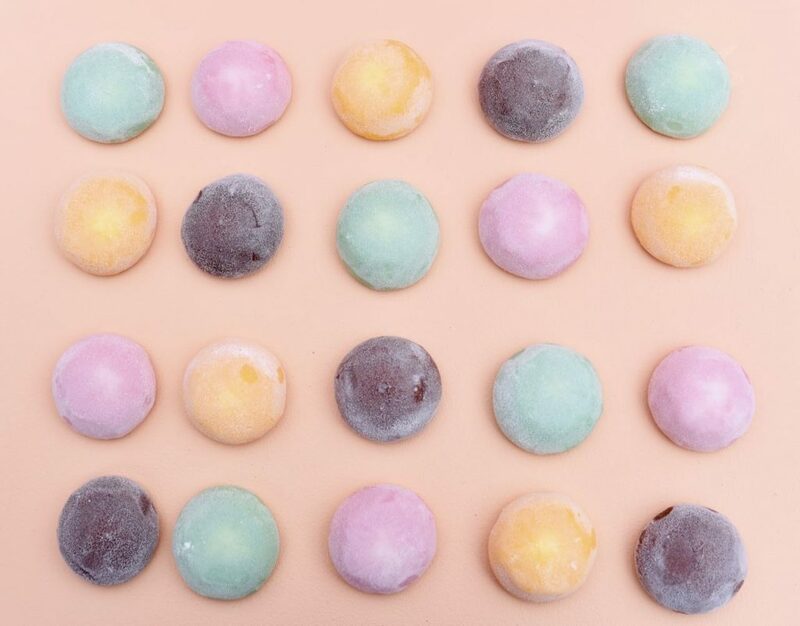 Each mochi is also less than 100 calories, so you don’t have to feel guilty indulging in one! 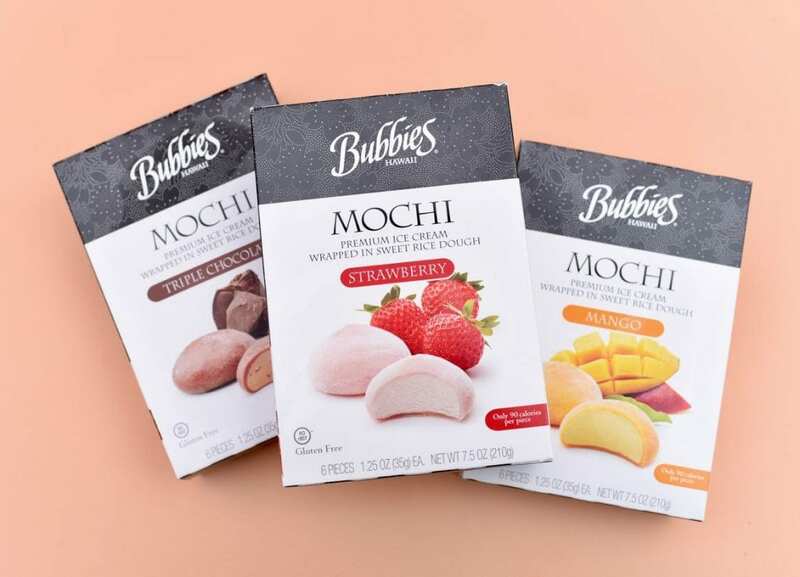 Bubbies Mochi Ice Cream also released new limited-edition summer flavors like Meyer Lemon and Strawberry Rhubarb. 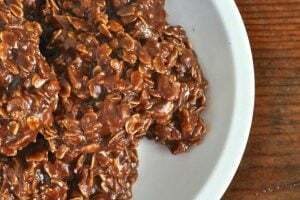 Summer is perfect for this tasty treat since they can be packed in a cooler and taken to the beach, a party, on barbecue, or on your next adventure! Better- they release seasonal flavors all-year round, with pumpkin spice, chocolate eggnog, gingerbread and peppermint candy hitting Whole Foods stores this fall and winter. 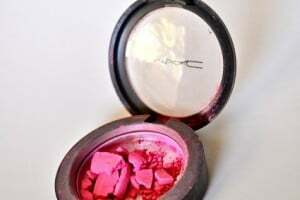 Where can I buy mochi ice cream? 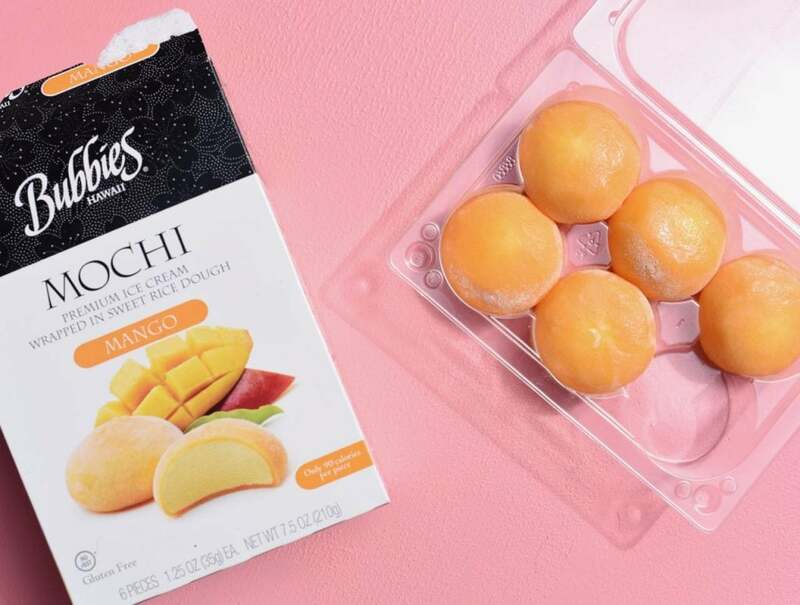 You can find Bubbies Mochi Ice Cream in self-serve coolers at Whole Foods Markets, or in the frozen ice cream and novelty section of many grocery stores. How can I find mochi ice cream near me? To find a store near you that carries Bubbies Mochi Ice Cream, just visit HERE. If you haven’t given this ice cream treat a try, what are you waiting for? 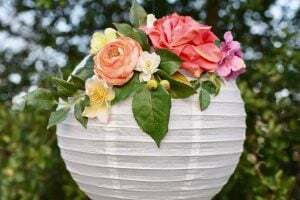 This is definitely a delicious dessert trend that is here to stay! This is a sponsored post written by me on behalf of Bubbies Mochi Ice Cream.